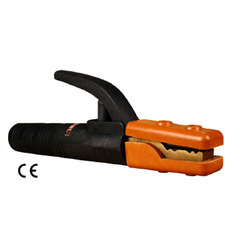 Welding Holders/ Welding Electrode Holders by Metal Arc® are high in quality with both open crocodile type head and closed head, with firm electrode holding insert position and wide range of welding applications. The main body is of copper alloy giving high quality and longer life to the Welding Electrode Holder. Some Series can be used for over head welding. With variable connection types the buyer can choose the best suited for them. We are successfully engaged in offering a wide gamut of Fully Insulated CE Certified Welding Electrode Holder Prestige Series. Our experienced technocrats manufacture these holders are using quality assured material according to the industry laid norms and standards. Widely used for welding work, these holders are made available in various specifications as per the needs of our patrons. In addition to this, the offered holders are undergoes different quality tests in order to ensure its durability. 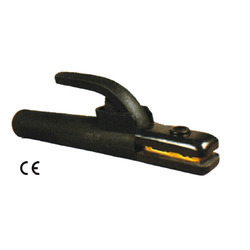 These welding holders are also as per IS2641:1989 Specifications. 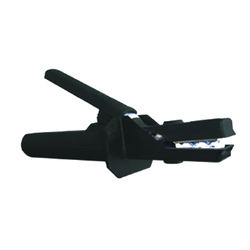 With our in-depth knowledge and experience of this industry, we are engaged in providing an excellent range of Fully Insulated CE Certified Welding Electrode Holder WH1 Series. Using quality assured material and innovative techniques in accordance with predefined industry norms, these holders are manufactured by our engineers at our well-equipped production unit. The provided holders are broadly used in various types of welding applications. Widely appreciated for its reliable quality, these holders are available in the market at a rock bottom price. 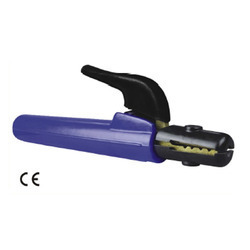 These welding holders are also as per IS2641:1989 Specifications. With a firm commitment to quality, we are offering a broad spectrum of Fully Insulated CE Certified Welding Electrode Holder SJ Series. To offer our valued patrons a top-notch range of holders, our dexterous professionals manufacture this holders are using quality assured material with the help of pioneered methodology. 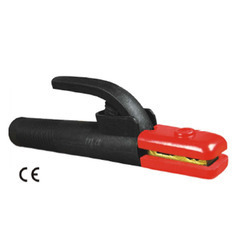 Additionally, this holders are widely demanded for welding work. Our clients can avail this holder in numerous specifications as per their needs at a budget friendly rate. These welding holders are also as per IS2641:1989 Specifications. With a firm commitment to quality, we are offering Fully Insulated CE Certified Welding Electrode Holder SAM Series a European Design. With firm electrode holding insert position and wide range of welding applications. The main body is of copper alloy giving high quality and longer life to the Welding Electrode Holder. These welding holders are also as per IS2641:1989 Specifications. In order to fulfil the diverse needs of our clients, we are offering a qualitative array of Fully Insulated CE Certified Welding Electrode Holder OPT Series. Designed in tune with the industry quality norms, our provided holders are widely used in repairing work. The provided holders are is manufactured making use of premium quality material as well as advanced methodology at our well-established manufacturing house. Owing to its rust resistance property and sturdiness, this holders are highly acknowledged in the market. These welding holders are also as per IS2641:1989 Specifications. With an objective to fulfil the demands of our clients, we are engaged in offering a wide range of Fully Insulated CE Certified Welding Electrode Holder AM Series. 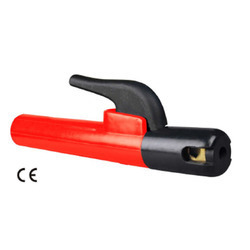 This holders are manufactured using superior quality material as well sophisticated techniques under the stern vigilance of adept professionals at our manufacturing unit. Our offered holders are broadly used for welding applications. To ensure its durability, this holders goes through different quality checks in compliance with defined industry norms. These welding holders are also as per IS2641:1989 Specifications. Pioneer in the industry, we are engaged in offering an impeccable range of Fully Insulated CE Certified Welding Electrode Holder FB Series. Only optimum quality components are used while manufacturing the offered range, for increased accordance with predefined industry standards of quality. The offered holder is widely appreciated among our patrons for its durability, perfect finish and easy usage. Apart from this, the provided holders are available in numerous specifications as per precise needs of our clients at reasonable prices. These welding holders are also as per IS2641:1989 Specifications. 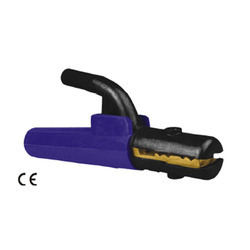 With our in-depth knowledge and experience of this industry, we are engaged in providing an excellent range of Fully Insulated CE Certified Welding Electrode Holder FL Series. Using quality assured material and innovative techniques in accordance with predefined industry norms, this holders are manufactured by our deft engineers at our well-equipped production unit. The provided holders are broadly used in various types of welding applications. 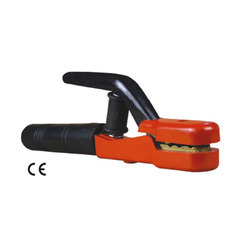 Widely appreciated for its reliable quality, this holders are available in the market at a rock bottom price. These welding holders are also as per IS2641:1989 Specifications. We are offering Fully Insulated CE Certified Welding Electrode Holder SPB Series an Economical Design. 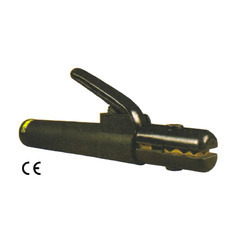 With firm electrode holding insert position and wide range of welding applications. The main body is of copper alloy giving high quality and longer life to the Welding Electrode Holder. These welding holders are also as per IS2641:1989 Specifications. With sincerity and hard work of our professionals, we have carved a niche for ourselves in this domain by offering Fully Insulated CE Certified Welding Electrode Holder SPL Series. This holders are precisely manufactured using optimum grade material and latest techniques under the strict surveillance of dexterous engineers. In order to eliminate any kind of defect, this holders are examined on numerous parameters of quality by our quality controllers in synchronization with set industry standards. These welding holders are also as per IS2641:1989 Specifications. Riding on unfathomable volumes of industrial expertise, we are engaged in offering an excellent assortment of Type II Welding Electrode Holder Base Model. Our offered holders are used in welding work. Making use of premium quality material, these holders are engineered under the stern guidance of skilled professionals at our well-established production unit. 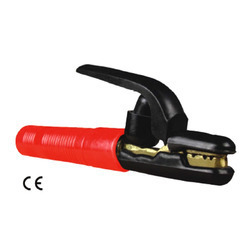 Due to its dimensional accuracy and perfect grip, these holders are widely acclaimed by our patrons in the market. These welding holders are also as per IS2641:1989 Specifications. With sincerity and hard work of our professionals, we have carved a niche for ourselves in this domain by offering Fully Insulated CE Certified Welding Holder BHS Series. This holders are precisely manufactured using optimum grade material and latest techniques under the strict surveillance of dexterous engineers. In order to eliminate any kind of defect, this holders are examined on numerous parameters of quality by our quality controllers in synchronization with set industry standards. These welding holders are also as per IS2641:1989 Specifications. Looking for Welding Holders ?